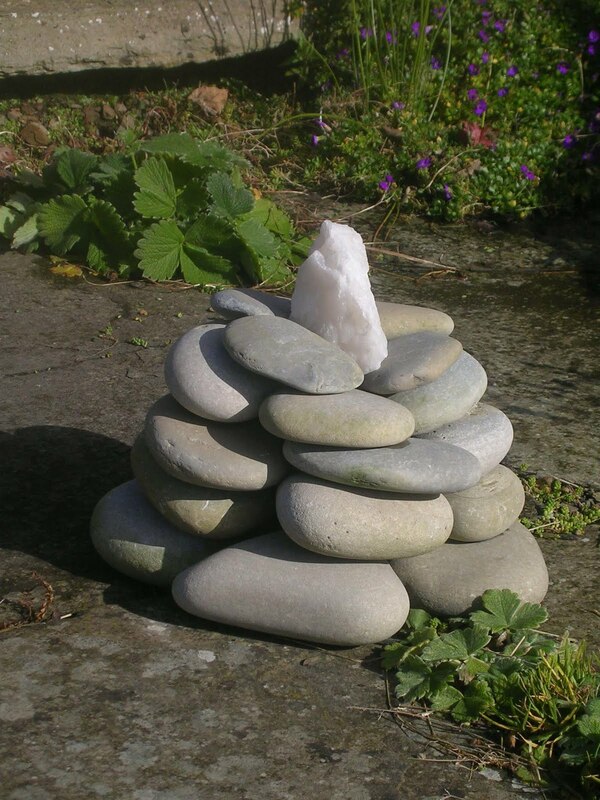 This meditation will use the snow quartz cairn in the garden at the projects base in Harray, Orkney, surrounded by four Agate Turritella as shown below. 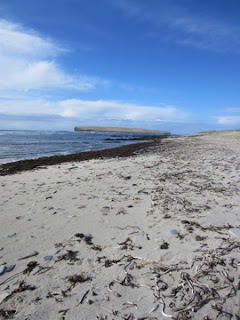 It was 'Bag The Bruck' weekend here in Orkney. 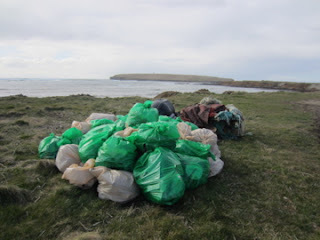 This is where the council provides bags and gloves to willing volunteers to collect any rubbish brought onto the beaches or blown around the islands during the winter storms and gales. 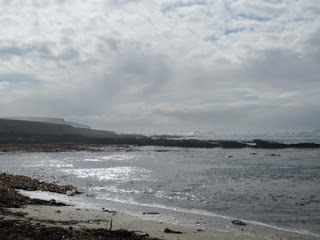 We have helped down at Birsay, on mainland Orkney each year we have been here, and it is always a sobering experience. The beaches here are mainly pristine, and few locals or visitors drop litter, yet there is always a wealth of rubbish to collect on this weekend. It is all brought in by the sea, but ultimately deposited by one of us somewhere on the planet. The amount of plastic is always depressing. 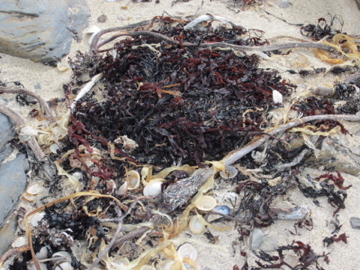 I picked up only one item out of three bin bags full that was not plastic in some shape or form and this is all floating around our oceans! Hopefully the pictures here will help remind us all of the beauty and natural harmony of our planet, and of how we, collectively, need to help our seas. So how can each of us help to reduce this oceanic pollution? 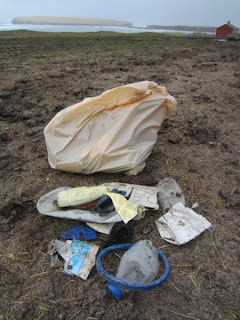 Its simple, reduce our use of plastics, recycle, bin litter and Bag The Bruck! 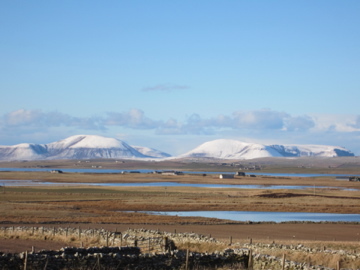 Just in the process of inserting the illustrations into the final draft of the Crystal Earthworks book - 'Crystal Clear". 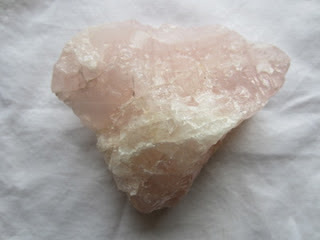 The book will provide a comprehensive guide to using crystals in the home and wider environment to bring about personal and planetary healing and should be published within the coming year through O-Books. 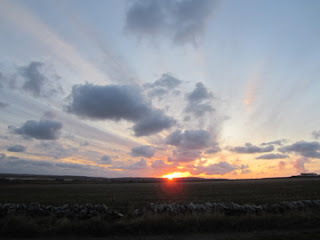 From next week our regular meditations will be on a Thursday evening. Hope you can still join us! 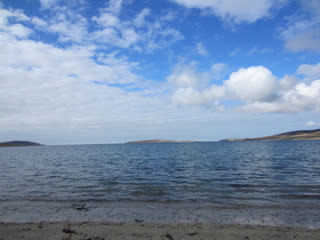 Some inspiring images of the recent Easter break here in Orkney. Many thanks to those of you who have recently sent in articles and magazines about environmental issues - its always really useful to hear about areas where crystal planting or focused healing meditations are required. Keep in touch! 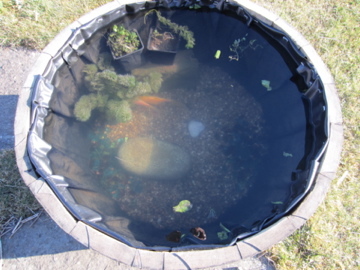 We have just created a new pond out of an old whiskey barrel for our goldfish, which have grown far too big for their tank. I placed a rose quartz crystal in it this afternoon, programmed to bring the fish peace, healing and physical and energetic well being. 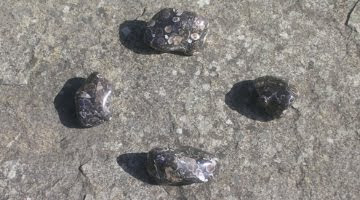 This crystal will largely be cleansed by the elements but is best removed and rinsed with fresh water every three months to help cleanse and replenish its energy. Thank you to all those of you who joined in with our Easter Meditations. 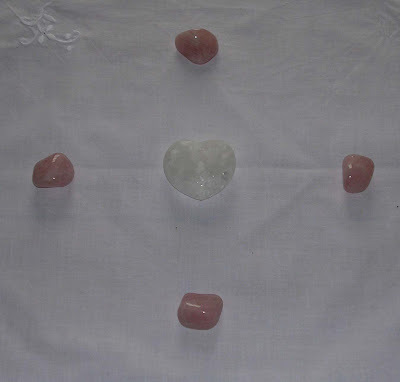 These meditations will use a heart shaped chunk of rose quartz, as shown below. Hope you are able to connect in.